Scientists have been searching for extraterrestrial life for decades. Thanks to the data sent from the Cassini spacecraft that plunged into Saturn’s atmosphere on September 20 of last year, Saturn’s natural satellites were many times at the center of attention when it came to searching for alien life. 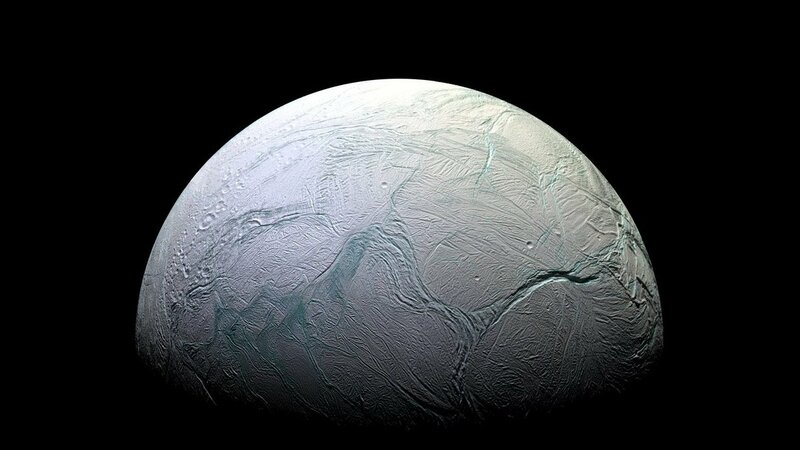 A recent paper suggests that deep-sea microbes thrive in conditions that are similar to those on the small moon Enceladus, suggesting that extraterrestrial life on Saturn’s icy moon could be present. The findings from the paper once again put Saturn’s moons at the center of attention, Enceladus, particularly, which is now among one of the top candidates that could harbor life in our solar system. NASA’s scientists said last year that during a flyby of Enceladus by the Cassini spacecraft, the spacecraft successfully identified water, ice, and most of the chemicals essential for habitability. The spacecraft also confirmed the presence of hydrogen, which means that there are active energy sources present on the ocean floor, which points to possible extraterrestrial life on Saturn’s icy moon. On Earth, there are microorganisms known as methanogenic archaea. These microbes use carbon dioxide and hydrogen to release methane as a byproduct. The spacecraft’s data also reveals the presence of methane, although it was impossible to determine whether the traces of methane are attributed to biological or geochemical reactions. Rittman and his colleagues simulated a wide variety of conditions. One of the tests included varying pressure from three bars to 90 bars. One of the microorganisms tested, known as Methanothermococcus okinawensis flourished irrespective of the pressure, temperature, whether it was given vitamins or not, or exposed to toxic chemicals or not. When they placed it in the most cruel conditions, the bacteria entered a state of dormancy, and reactivated after a few seconds once they were returned to a less extreme environment. “It’s part of the reason to go back and start characterising the chemical conditions of the ocean with a flyby and better instruments,” Waite added.